In 2011, at NorthPoint Domain, Inc. 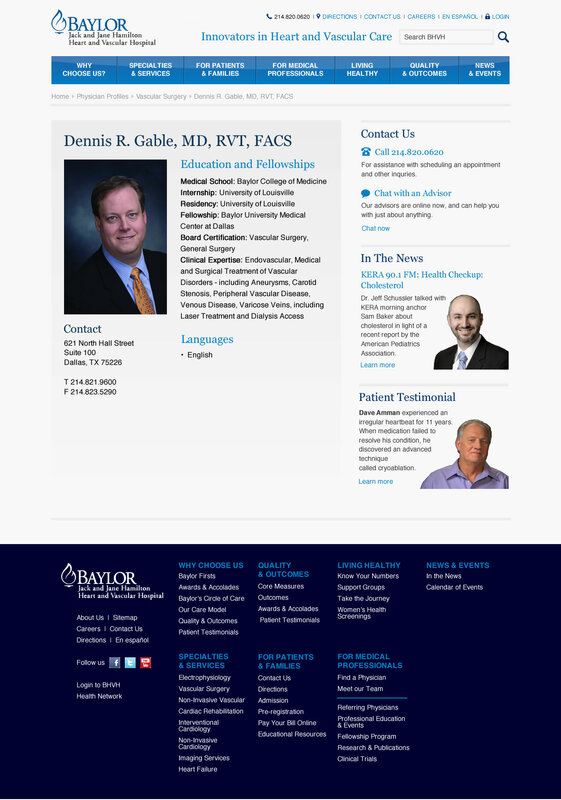 I developed a new information architecture and design system for Baylor Heart and Vascular Hospital. 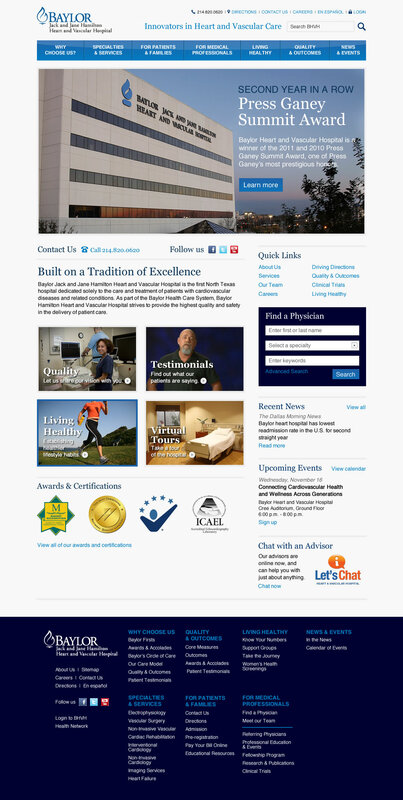 The updated IA created distinct user journeys for patients and families versus medical professionals. 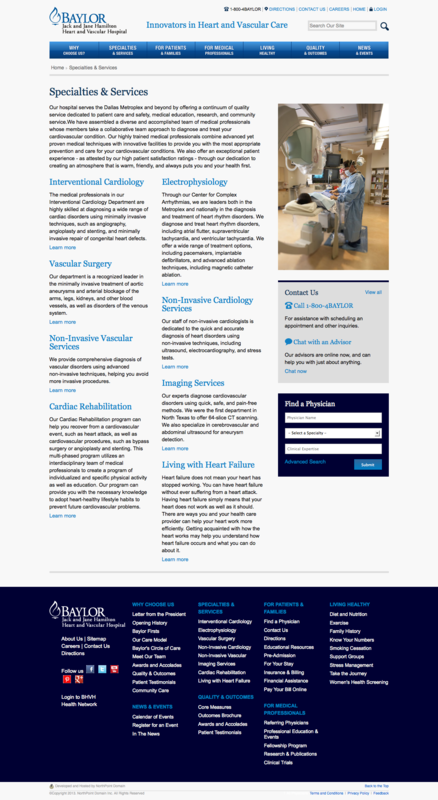 I designed and coded a responsive homepage and a suite of page templates that could be flexibly used to meet the changing needs of a growing hospital.